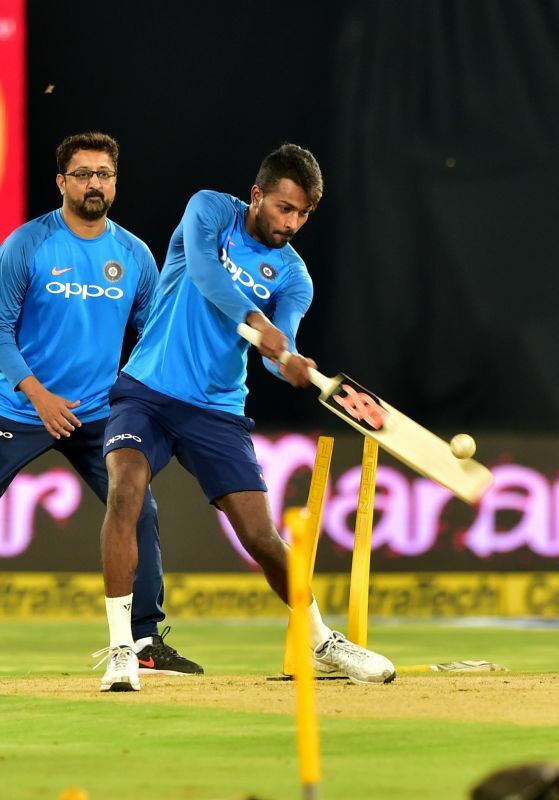 Hyderabad: With the series tied at 1-1, the final Twenty20 of the three-match series between India and Australia could have been a thrilling encounter. However, the cricket fans here at the Rajiv Gandhi International Cricket Stadium were robbed off a chance to witness the third Twenty20 as the match was called off due to wet outfield here on Friday. 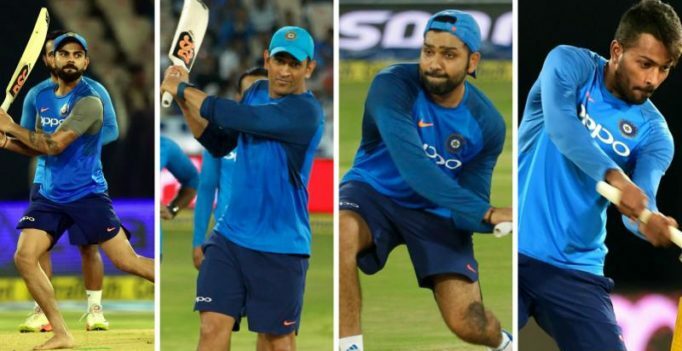 However, Team India skipper Virat Kohli, vice-captain Rohit Sharma, former captain MS Dhoni and Indian cricket’s rising star, Hardik Pandya, made sure that those present at the venue had something to cheer for. The David Warner-led Australian side and the hosts continued to wait for the play go ahead after a multiple inspections. However, it was not to be as the match officials eventually called off the match. 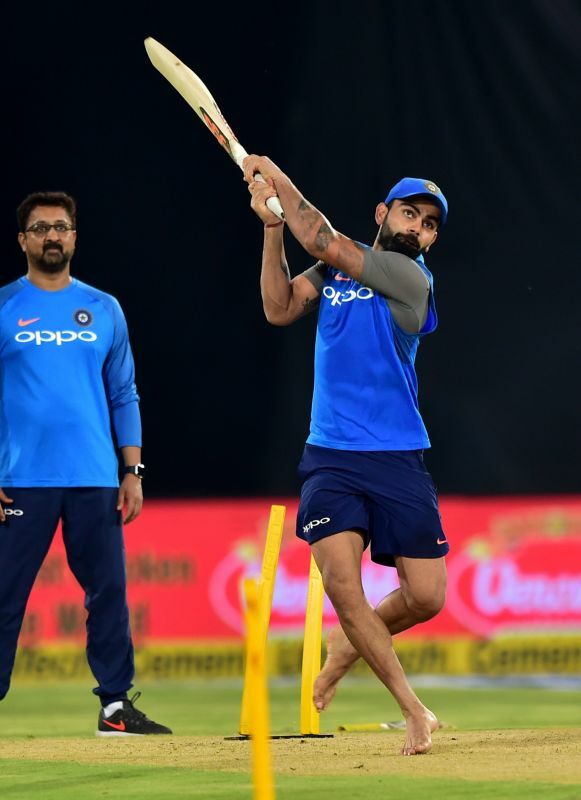 But the four Indian cricketers decided to entertain the crowd in what can be called a fun-practice session as they batted left-handed. Rohit, who opens the innings for India, started the proceedings. While the right-hander is a joy to watch when he is in a full flow, he struggled as he batted left-handed. Next in line was Kohli. A video of him tonking the cricket ball while batting left-handed had gone viral recently. However, the Indian captain fell to the ground in his attempt to bat left-handed on Friday. However, he came back and managed to find the sweet spot of the bat. Hardik then did a better job than Rohit and Virat as he did a reasonably good job, batting left-handed.